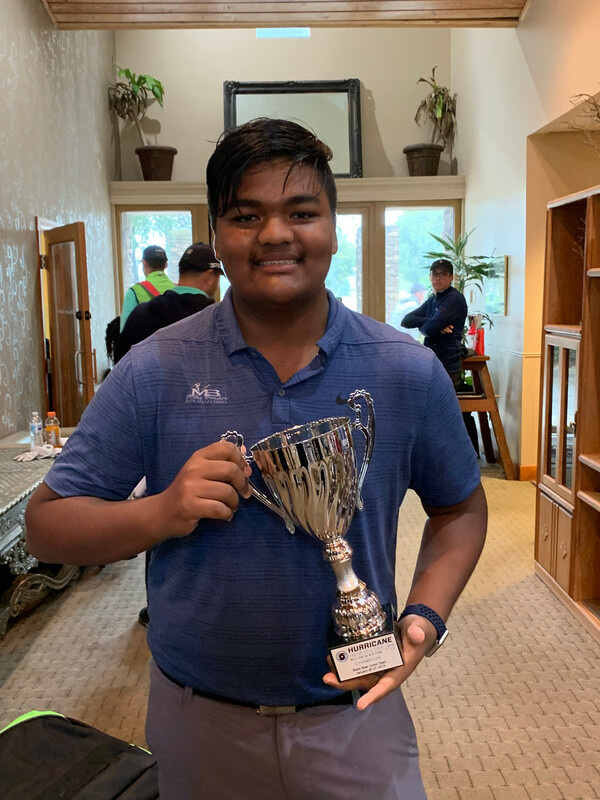 On Saturday, January 26, 2019, The Hurricane Junior Golf Tour Powered by the Junior Golf Hub held the Black Bear Junior Open in Eustis, FL. The tournament was made up of an 18-hole, one-day format due to inclement weather on the second day. 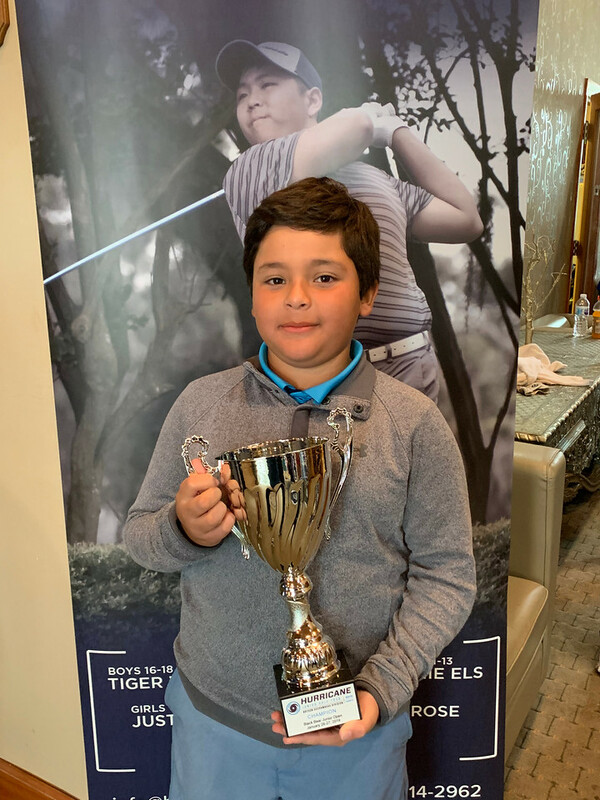 The field was made up of five divisions that included the Tiger Woods Division Boys 16-18, Will Smith Division Boys 14-15, Ernie Els Division Boys 11-13, Bryson DeChambeau Division Boys U10, and Justin Timberlake Division Girls 14-18. To view the full leaderboard click HERE! 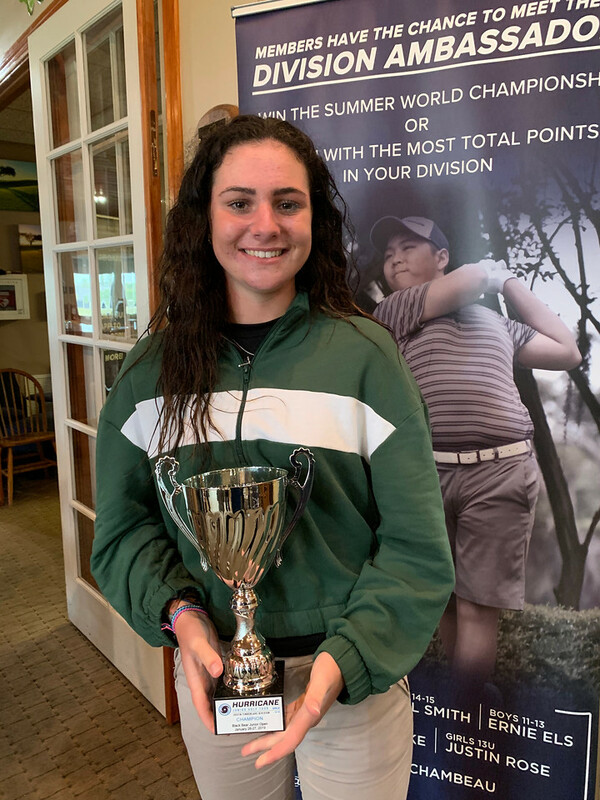 Leading off the Tiger Woods division in first place with an outstanding showing was Alexis Valenzuela of Nassau, FL shooting a 70. Not far behind was Simon Haas of Wesley Chapel, FL who finished the day with a 73. Rounding out the division was a tie for third place between Sebastian Collins of Southampton, Bermuda, and Nils Nottebohm of Wesley Chapel, FL, each with a score of 75. The Will Smith division was a very tight race for the podium spots, ultimately ending up with four top-three finishers. The leader of the pack was AJ Jaiswal of Bangalore, India shooting a terrific 77. Right behind him was Stuart Dickson from Trussville, AL with a score of 78. The final spot was split between Carson Brewer of Jacksonville, FL and Christian Collins of Southampton, Bermuda with equal scores of 79. The Ernie Els division ended up being a fight until the end, with first through third place separated by only two strokes. 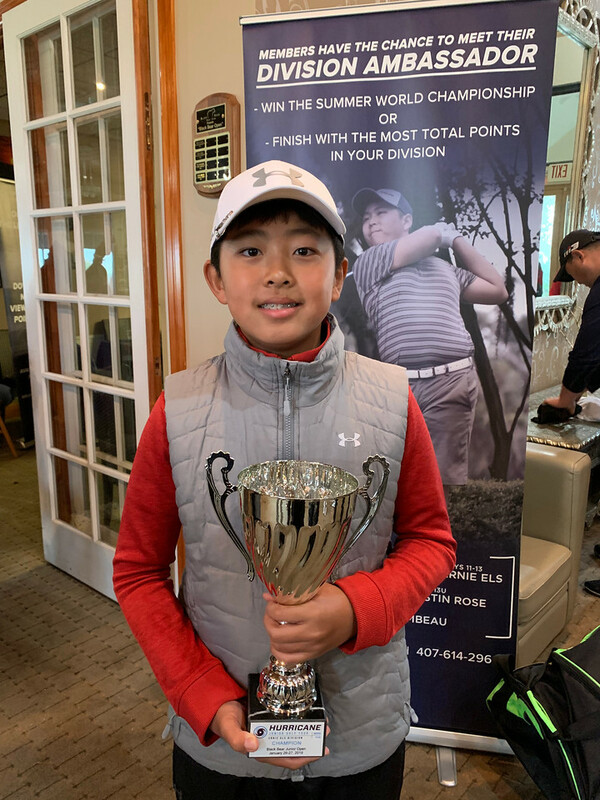 The winner of the division was Jiacheng Xu of Winter Garden, FL who shot a magnificent 74 during his time at Black Bear. 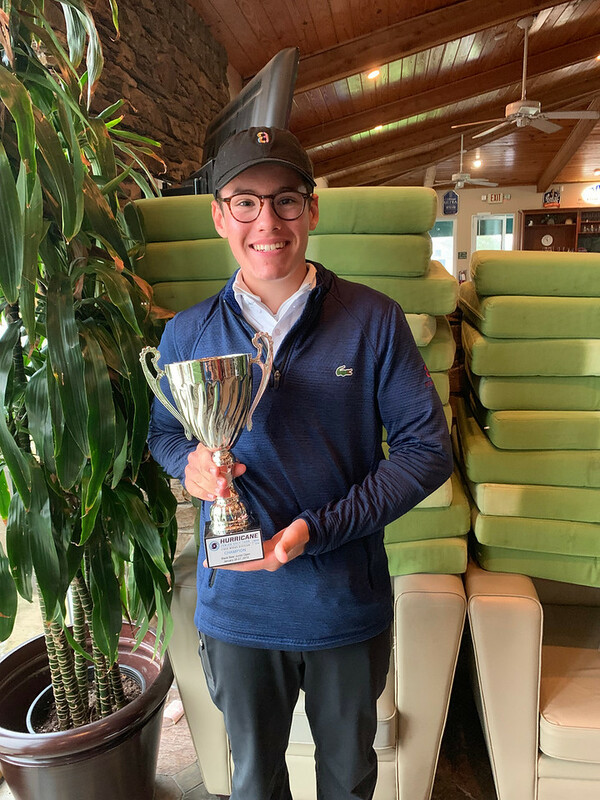 Coming in second place was Diego Alvarez Perez of Panama who shot just one stroke off from the leader. Just behind him was Lev Grinberg of Kiev, Ukraine who finished the round with a score of 76. Darcey Harry from Nassau, Bahamas was on her game on Saturday and won the Justin Timberlake Division with 70 strokes. It was a tight race for second, but Anne Fernandez from Nassau, FL secured her spot with 76 strokes. Celeste Valinho from Jacksonville, FL made her way to the podium just one stroke behind Fernandez. The Bryson DeChambeau division was made up of one sole competitor and champion and his name is Giancarlo Aguirre. Giancarlo is from Lima, Peru and he finished his first round at Black Bear shooting a 92.